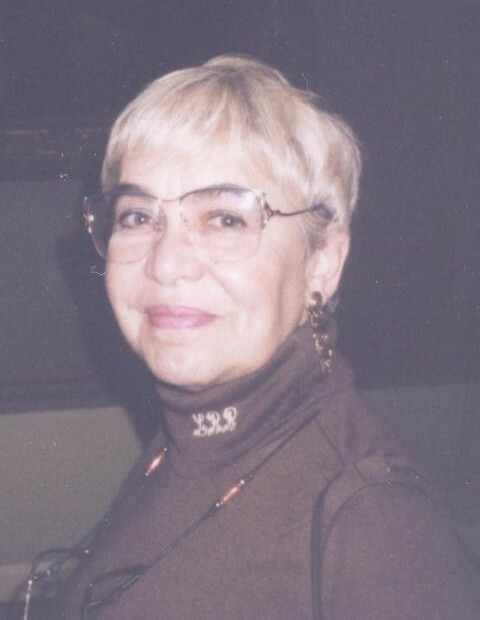 Obituary for Isabelle "Liz" A. Reilly | Longwood Funeral Home & Cremation of Matthew Genereux, Inc.
Isabelle "Liz" A. Reilly of Kennett Square, Pennsylvania passed away on Saturday morning, January 26, 2019 at her home with her family. She was 88 years old. Born in Utica, New York, she was the daughter of the late Nicholas J. Rose and the late Kathleen DeFiore Rose. Liz was a volunteer and member of the Brandywine River Museum for over 40 years. She was part of the critter committee-- making homemade ornaments from natural materials. Liz amassed many wonderful friendships at Brandywine River Museum surrounding herself with creative like-minded people for over 4 decades. She also served as a volunteer guide at Longwood Gardens for half a decade. She was a graduate of SUNY College of New York, 1951, Bachelor of Arts in Education. A lover of Fine Arts. Liz was a potter in her own right, but found a greater calling in opening her own art gallery in Kennett Sq. called Artworks. For over 15 years, she gave voice to many highly talented local and national artists to purvey their works. A lover of the outdoors—whether sitting on the beach in Cape Cod or a vigorous walk through the woods. Liz loved visiting State and National parks with her oldest daughter and grandson traveling the country from coast to coast. Liz was a devoted grandmother of 7, and was so proud of her legacy and loved her grandchildren fiercely. Liz was a creative soul. She had a passion for cooking and loved to garden-- always planting an herb garden each and every spring to enhance her generations-old recipes. Liz was a driving force in the historical preservation of old buildings in downtown Kennett and was recognized by the chamber’s Historical society meritoriously for the upkeep and restoration of significant buildings in town. Liz was also a lover of animals big and small. She was an avid supporter of the ASPCA and could never be without a dog as a pet, often through adoption. She also loved horses. As an accomplished equestrian, she rode and jumped until the age of 75. Liz was the beloved wife for 67 years of Joseph T. Reilly; mother of Peggy Reilly-O'Brien (Kevin O'Brien) of Dennis, MA, Dr. Saundra Reilly (Peter Cooney) of Longmeadow, MA, Siouxzen WhiteCloud (Richard Whitecloud) of Ft. Lauderdale, FL and Joseph Reilly of Livermore, CA; grandmother of Tyler Reilly-Evans of Yonkers, NY, Connor Reilly-OBrien of Dennis, MA, Brandon Reilly-Evans (Nicole Griffin) of Mine Hill, NJ, Kaelin Reilly-Evans of Longmeadow, MA, Brenna Reilly-Evans of Boston, MA, Teakahla WhiteCloud of Ft. Lauderdale, FL and Griffin Kupras-Reilly of Livermore, CA; sister of Nicholas Rose, Jr. She was predeceased by her siblings, Jessie Cook and Kathleen DePinto. Visitation with the family will be from 11:00AM until 12:30PM with a funeral service at 12:30PM on Saturday, February 2, 2019 at the LONGWOOD FUNERAL HOME & CREMATION of MATTHEW GENEREUX, 913 East Baltimore Pike, Kennett Square, Pennsylvania. A celebration of life luncheon will follow the service at the Mendenhall Inn, 323 Kennett Pike, Mendenhall, PA. Burial will be private. Family flowers arranged by Kennett Florist 610-444-6040 tel.